The Debt of Tamar brings to life one of history's greatest yet overlooked stories of love and resilience. 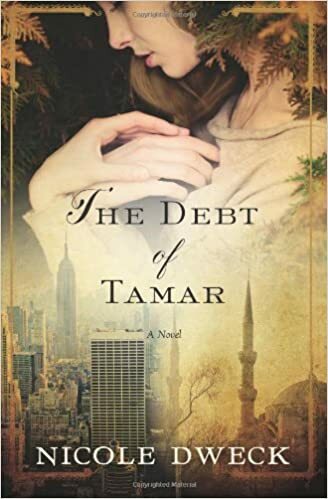 The Debt of Tamar is a sweeping saga intertwining the fates of two families, one Jewish and one Muslim, from Inquisition Istanbul to WWII Paris to modern-day New York. Nicole offers a piece of often forgotten history as the story illuminates a little-known period when Jews and Muslims not only co-existed peacefully but thrived alongside one another. Nicole was inspired to write this story because of her own family history and, because of which, is able to reach a wide audience. Blending romance and betrayal with universal issues of identity, family, and faith, the novel is sure to engage readers as it takes them on a journey through rich settings. Four hundred years before Oskar Schindler there was Suleiman the Magnificent, an Ottoman sultan who rescued thousands of Jews from the Inquisition. Inspired by this amazing moment in history, Nicole Dweck has imagined an enchanting family saga in the tradition of Anita Diamant's The Red Tent and Nomi Eve's The Family Orchard. In 2002, thirty-two-year-old Selim Osman, the last descendant of the Ottoman sultan Suleiman the Magnificent, flees Istanbul for New York. In a twist of fate, he meets Hannah, the daughter of a Holocaust survivor and an artist striving to understand the father she barely knows. Unaware that the connection they share goes back centuries, the two feel an immediate pull to one another. But as their story intertwines with that of their ancestors, the heroic but ultimately tragic decision that bound two families centuries ago ripples into the future, threatening to tear Hannah and Selim apart. From a sixteenth-century harem to a seaside village in the Holy Land, from Nazi-occupied Paris to modern-day Manhattan, Nicole Dweck's The Debt of Tamar weaves a spellbinding tapestry of love, history, and fate that will enchant readers from the very first page. NICOLE DWECK holds a BA in Journalism and a Master's Degree in Global Affairs from NYU. When The Debt of Tamar, her debut novel, was self-published, it was a USA Today bestseller and received honorable mention in Writer's Digest's Self-Published Book Awards. She lives in New York City with her husband and their son. As I have mentioned many times before, I LOVE World War II based books so I was really excited to read The Debt of Tamar! It was so interesting and I really learned a lot about Suleiman the Magnificent and how he accepted the Jews into his country and saved many of them from being persecuted. I loved learning about the different cultures and seeing how many families over hundreds of years were connected. It was definitely an interesting and unique look into history and I really liked it!